Frankfurt Airport (FRA) is the gateway to continental Europe. Many airlines use the Airport as a hub for connecting flights all over the world. If you have spare time between two flight and you are a birdwatcher, you might be interested to know, where you can find good places to stretch your legs, enjoy fresh air and enjoy birding for typical european birds. One of these sites is the best riparian forest 60 km south of Frankfurt, called Kuhkopf or in german Kuehkopf. The nature reserve (in german: Naturschutzgebiet or NSG) is European Reserve. The nature reserve Kuehkopf-Knoblochsaue is the largest in Hesse, with 2,369 hectares. It is located on the right bank of the upper rhine. The reserve is located near the towns of Leeheim, Erfelden, Stockstadt and Biebesheim. The NSG comprises an artificial puncture of the former Rhine floodplain formed in 1828/29 by islands, riparian woods and meadows. The nature reserve Kuehkopf Knoblochsaue is a landscape in the natural flood plain of the Rhine. It is made up of water, mud fields, reed-beds, floodplain meadows and soft wood forest (willows and poplars) and hard wood forest (including oak and elm). 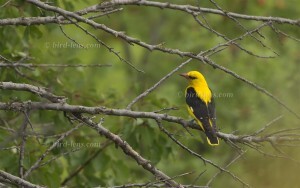 The area has about 250 species of bird. Approx. 120 species of birds breed here, including the White Stork (Ciconia ciconia). The northern side of the island is reknown for its breeding population of Bluethroats (Luscinia svecica), Black Kites (Milvus migrans), Marsh Harrier (Circus aeruginosus), Black Woodpecker (Dryocopus martius ) – which might be difficult to find unless calling – , huge numbers of Common Nightingale (Luscinia megarhynchos), good numbers of Eurasian Golden Orioles (Oriolus oriolus) and Great Reed-Warblers (Acrocephalus arundinaceus), and good numbers of Red-backed Shrikes (Lanius collurio) as well as European Stonechat (Saxicola rubicola). Recently the only forest-breeding Eurasian Eagle-Owl (Bubo bubo) in Germany started to occupy a territory. The owl preys on almost everything in and on the riparian forest. It seems, that they developed a certain taste for the chicks of other raptors e.g. of Black Kites (Milvus migrans) – but the adult Kites are not neglected. This is the location for many excellent species. In wintertime there are large concentrations of ducks, like Garganey (Anas querquedula) and Gadwall (Anas strepera). Common Crane (Grus grus) use the fields on migration as described already in one of the previous blogs. A view across the river Rhine might be productive, too. You might see Little Ringed Plover (Charadrius dubius), Osprey (Pandion haliaetus), European Honey-buzzard (Pernis apivorus) and both species of Kites (Red Kite, Milvus milvus, and Black Kite, Milvus migrans). 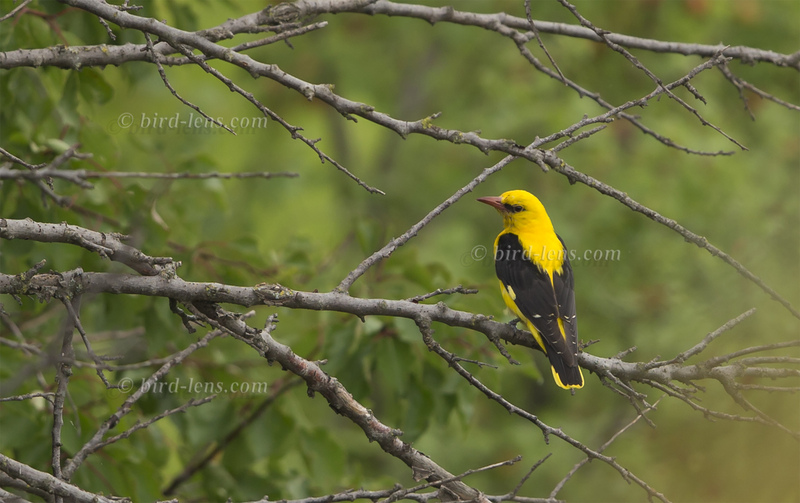 Eurasian Golden Orioles (Oriolus oriolus) often fly across the river. Depending on the season, you can spot three different species of Wagtails. White Wagtails (Motacilla alba), Gray Wagtails (Motacilla cinerea) and even the Western Yellow Wagtail (Motacilla flava). On the northern tip of the island where the biggest oxbow meets the Rhine and on the bridge over the oxbow in Erfelden there are some sandbars, and it is here that a few waders appear in both spring and autumn. In winter the fields to the north of Godellau/Erfelden hold vast numbers of Bean Geese. At that time of the year the river Rhine also holds some rare sea ducks, and you might see Common Eider (Somateria mollissima), Common Goldeneye (Bucephala clangula), Smew (Mergellus albellus), Common Merganser (Mergus merganser) and even small flocks of Velvet Scoter (Melanitta fusca) there. On the meadows and pastures, you might observe a Northern Shrike (Lanius excubitor) which winters here. For the more botanical interested: In the forest of Knoblochsaue bloom large stands of Lesser Squill (Scilla bifolia) and Oxlip (Primula elatior). with you to determine the right access point and use a GPS not to get lost. Anyway, as already mentioned in one of the previous blogs, this reserve is a reknown nature area in a densely populated countryside and there is often some disturbance by joggers or people who go with their dogs. A good advice might be in the area early in the morning, use a bicycle to make the distances and chill-out in the afternoon in the nice beergarden in the Forsthaus Kuehkopf. One big problem with the whole area – but with the Kuhkopf in particular – in the summer should not be neglected. These are the mosquitoes and it is recommended that visitors use the strongest insect repellent on the market. Access to the best areas is prohibited, and the path has been altered to keep visitors away from the northern reed beds which hold Bluethroats (Luscinia svecica) and Great Reed-Warblers (Acrocephalus arundinaceus). There are other places in nearer surroundings but access is a bit tricky. Please contact via the contact form if I can give further directions or even guide you! Are you still offering birding guide services to Kuehkopf Naturschutzgebiet? I hope to visit in spring 2015 or 2016.